Why talk about psychedelics substances and experiences in relation to VR? This question could really only arrive from a point that is virginal in regards to psychedelics. 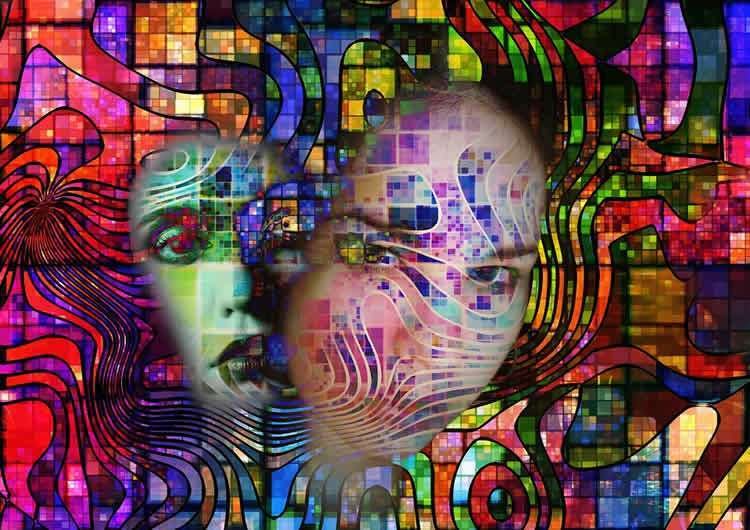 Anyone who has had a psychedelic episode needs no clarification, as it’s plain as the nose on your face. But for the uninitiated: psychedelics are chemical substances that induce altered states of consciousness, and thus altered realities. Thoughts, feelings, experiences, visions that wholly cannot be experienced otherwise, fall upon you that are titanic, very frequently religious or spiritual in scope, and yes sometimes even include what appear as alien entities of all sort. The word psychedelic itself means mind-manifesting. When you take a psychedelic, you enter another world. When you use VR you put on another head and see another world. So they are actually close relatives. One is media-technology induced altered states, the other is a chemically-induced altered state. 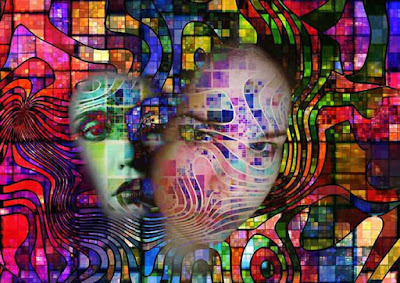 VR offers a parallel to psychedelics (some have argued that VR is the technological shadow of the psychedelic experience), but it is not at all the psychedelic experience proper, in all its quaking, annihilating, and mind-expanding glory. Beyond doing whatever you can to temporarily escape your local VR programming, an admission would be that consciousness itself is fundamental to all our virtual realities. Consciousness is the media through which all our cultures, religions, civilizations, thoughts, and reality tunnels play out. So although what we have created can be regarded as virtual realities, consciousness itself doesn’t necessarily fit the criteria. Consciousness is real, ‘Canada’ and ‘Canadian’ is imaginary, is virtual. Consciousness plays within the framework of ‘Canada’ and ‘Canadian’ but it isn’t those constructs on a fundamental level. Consciousness is not virtual reality, though it uses virtual realities to operate in. Now onto the other weird word here: concrescence. Concrescence is an idea that Terrence McKenna brought up often, which was cribbed by Alfred North Whitehead’s Process Philosophy, but it was also an idea that Canada’s own stellar media prophet Marshall McLuhan, as well as Pierre Teilhard de Chardin, flirted with—And that’s the idea of some kind of spiritual or evolutionary omega point existing off the future, and that the toil of all beings leads towards. Media and technology folks jumped on this and realized the global electronic communication and its evolution would also lead up to some kind of crossing of the rubicon. Today, most of you are familiar with this notion through the work of Ray Kurzweil and The Age of Spiritual Machines: that we’ll be uploading our consciousness into silicon, the body will become a platform for total manipulation through gene editing, including reducing and eventually ending the process of aging, and that virtual reality will become the new language of tomorrow. That’s the media-tech concrescence. And that was a strong focus for Terence McKenna, what role would VR play in the evolution of language, and how it would not merely enhance but in fact expand the human psyche and the human soul. So that’s what I’m going to rap about with you today. McKenna was an author, an ethnobotanist, researcher of world shamanism, and a philosophical gadfly with a consuming interest in VR, psychedelics, and the future. But he’s mostly known for the surviving audio and video recordings of his lectures that have made their way onto YouTube. He really exploded into global consciousness after YouTube, which sadly he didn’t live to see just how iconic he was going to become. Remember the 2012 hype? Outisde of the Mayan’s of course, it was largely due to McKenna. Whether or not you know McKenna, he’s been a massive invisible hand behind the technorati even though he very much started as kind of a password in the underground and counter culture labyrinth of psychedelic thought. But he’s the secret reason why Silicon Valley made its way to Burning Man. By the way: long live Larry Harvey. McKenna is also the reason why ayahuasca and microdosing has found a home in modern techno corporate American progress as well. Personally, these I read as crucial victories. Technology has become prosthesis for the human species. It’s our machines and our technologies that are now the major evolutionary forces acting upon us. It’s not our political systems, it’s these extra-sexual children, these mind children that we have assembled out of the imagination. We fear the dehumanizing effect of so many computers. We fear them; we say that we’re moving further and further from nature, deeper and deeper into our own psyche. But this is a dualism. Our psyche is nature, and we cannot move away from nature by exploring these places. The entirety of human history has been the story of the monkey becoming the flying saucer. It is taking just that long in geological time. But we, for some strange reason, we happen to be living through the final moments of that process right now. [We need a] philosophy not made around the campfire. But philosophy based on the acquisition of extreme experience. That’s how you figure out what the world is. Not by bicycling around in the ’burbs but by forcing extreme experience. If you don’t treat VR like a portal into an uncanny weird future, than you’re as done as the dinosaurs. Like Douglas Rushkoff asks: what are we going to do when Augmented Reality has turned the world into one giant mall? The real leaders in VR are going to create tools that make it easy for folks the world over to create their own virtual realities. VRs that they can develop and then share with others. And the leading VR makers will be the counter culture, the avant grade, the psychedelic visionaries, and youths. They will actually be driving the future of language and communication, just as rock n’ roll did decades before them. There is a greater agenda lurking behind the surface of all this flashy immersive tech. And those who intuit that are going to be the real leaders that I am talking about. Tomorrow’s leaders aren’t going to be the Fortune 500, or the top 40 over Forty. The real leaders are going to heal themselves and this world culture, in part with using VR tools. As one netizen Mystic_realmz said it, “With other senses we would have other realities.” VR makes this actually possible. My advice, if I were to offer any advice is, create tools so young people and vanguard artist can more easily create virtual worlds. Provide the platform. And get psychedelic.